It's raspberry season here in England!!! Picking raspberries off and eating them fresh off the vine is one of my favorite things to do when I am here. I literally have been eating at least $5 worth of store bought raspberries a day. A habit I couldn't afford at home! Growing up in suburbia I didn't have any connection with my food as a child. I feel that this has created a huge enjoyment for me to grow, pick and then prepare my own food. I love the satisfaction of knowing where my food is coming from, acknowledging the vitality in it and then also getting all the rich natural probiotics that come from organic soil. Raspberries are one of the top antioxidant fruits and are an essential food for optimum health. 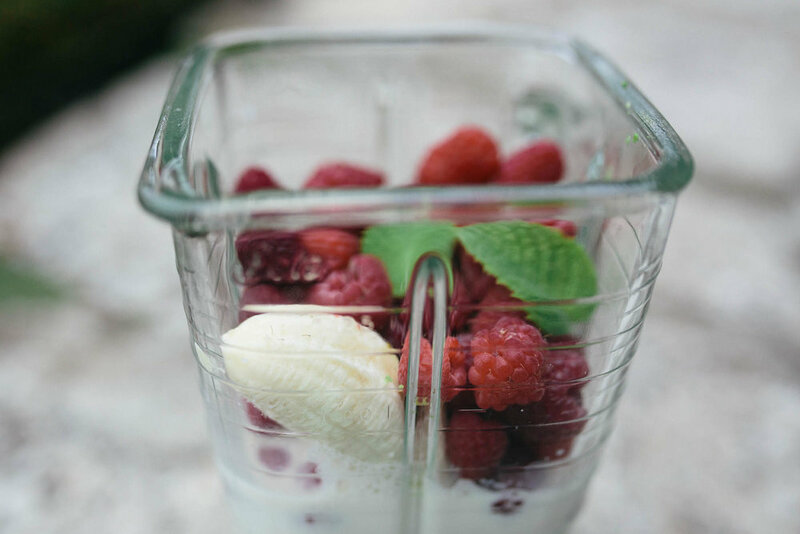 Raspberries are rich in vitamins C, A, E, K, and B-complex and minerals such as iron, copper, calcium, and magnesium. They are also high in ellagic acid which is a medicinal compound that helps to prevent cancer as well as benign and malignant growths. They also help remove byproduct and toxic debris created by pathogens that causes thyroid problems and tend to bind onto and remove impurities delivered to the intestinal tract. Because raspberries are red, it makes them a perfect summer time fruit. Summer and the fire element are associated with red. So eat away and hopefully you will be filled with joy. If you are able to grow and harvest your own raspberries that is definitely the way to go as buying store bought really adds up and adds to plastic consumption in most cases. You could also try looking in your local community to see if there are any raspberry farmers that will allow you to come pick. It's not only fun but way healthier for you, your wallet, and the planet! 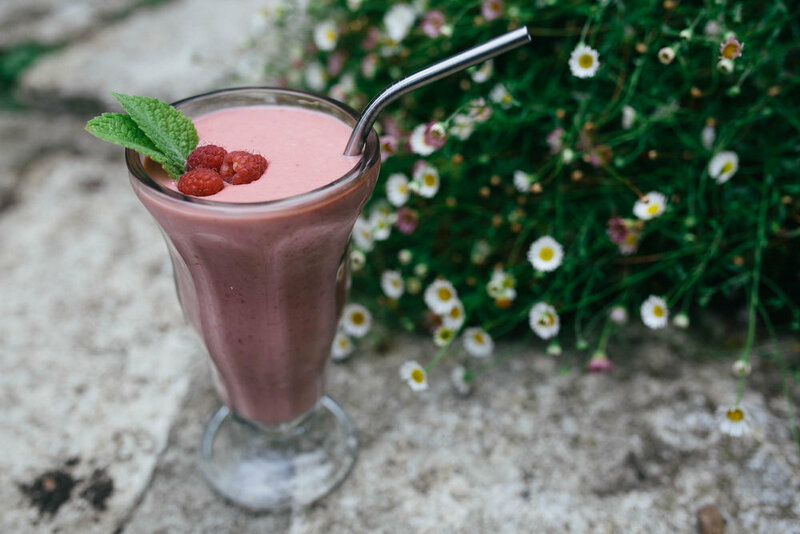 This smoothie recipe I created is very simple because I had limited ingredients here in the English countryside. If you decide to modify it, make sure you always have healthy fat to stabilize your blood sugar. Put everything in the blender and then enjoy!